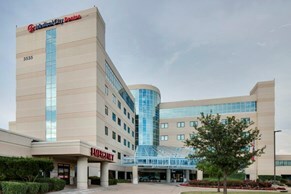 Medical City Denton is a 208 bed, full service hospital that serves the growing population of Denton, Wise, Cooke and Montague Counties. Offering the full-spectrum of healthcare, including advanced open-heart surgery and oncology programs, Denton Regional's more than 800 employees and 250 physicians are constantly striving to offer the highest quality service to the north-Texas area. With the additions of the Mayhill Diagnostic Center, an Ambulatory Surgery Center and the new Mayhill Cancer Center at Denton Regional Medical Center, life for your outpatients has become just a little bit easier!